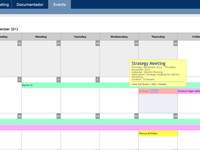 We offer a project tracker for planning, building and launching products, an agile module, a content creation, collaboration & knowledge sharing tool, a Calendar app and SVN hosting in one package. Pros: Capability of collaboration that Yongo and documentador are offering together. 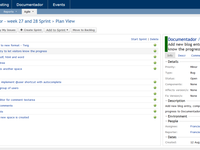 The ability to assign and track task progress through the inherit workflows. Cons: The administrative view can be enhanced allowing to define specific rules per user or role. 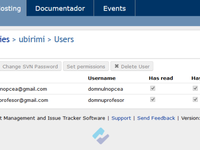 Overall: I have used Ubirmi for managing the product backlog. The features offered by yongo were quite relevant to our needs like the Dashboard which offers a complete view of the overall progress. With charts like Created vs. Resolved Chart and widgets like Issue Statistics, Assigned to Me tasks offers a flexibility to be able to know what is that needs your attention. On the other hand 'documentador' offered the capability to create our own document space and maintain our documents , the inline document editor allows us to edit or update our documents without having a 3rd party software. Using this combination Ubirmi has offered a platform for collaboration. Recommendations to other buyers: Would recommend to include inline comments in documentador , which would offer flexibility to point specific areas of the document. Plugins for 3rd Party tools integration. 2. Support to create user stories and associated tasks to them. 4. Link corresponding documentation to a task. Cons: 1. I would like to see capability to share scrum or task boards across projects. 2 . Showcase contributors from different project under the same board. Overall: During the start of one of my new projects, we evaluated various products to cater to our needs. 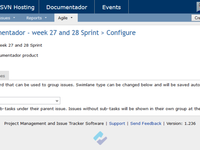 We were looking for a product that gives us Agile Project Tracking along with macro-level management. 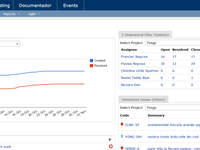 We used the build in a workflow in Ubirmi to manage our user stories and tasks. The task boards provided us a summary 'at a glance' overview of the Project. We were able to look at the holistic view and track the progress. Recommendations to other buyers: 1. I suggest that the support for GIT Repository should be added so that tasks can have there own branches associated to them 2. Add plugins to support continuous integration tool in order to accomplish build automation. Tightly integrated productivity tools for the next generation! Comments: The combination for the Agile product with Yongo for tracking bugs, deadlines and tasks is amazing. Looking forward to proper git hosting! Comments: The software was extremely intuitive and lacked complexity. Its design was very easy on the eyes and was incredibly usable. Overall: This is a very nice tool. The ways you could use it are endless. Personally, I used it to find competition and new feature ideas for my software. I t is also great for finding new stuff! Comments: The software makes all of our lives a lot easier. It helps us all to work together a lot easier too. Overall: Using Ubirimi, allow us to see what we can do in a team and how we can work better together. When a team is splitted around the world, it's always good to have that kind of product to focus on task and product and not on team's management!